"Back in 1987 we had the opportunity to play with Iggy Pop on some dates in Europe so we jumped at the chance. 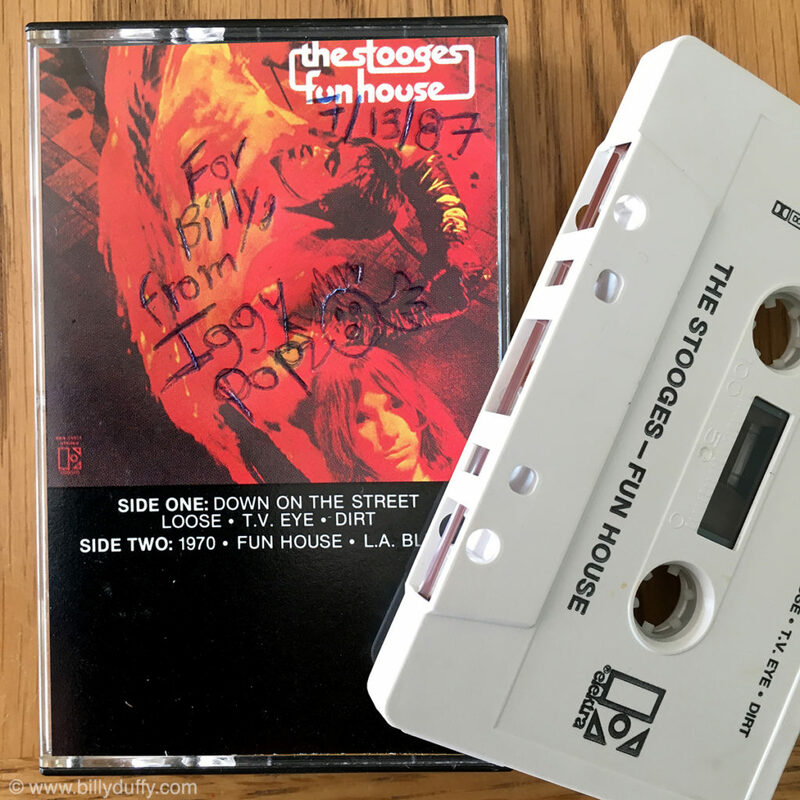 I think I was chatting with "Jim" after a show, possibly at an Airport in Germany, and I went all fan boy on him and he was gracious enough to sign this cassette that I had with me. I'm never too far away from some Iggy music even to this day... kind of a "when in doubt Stooges out" policy!